A complete package for a fun super awesome birthday surprise! Is it that time of the year when your near and dear one is turning a year older, and you want to make them feel as special as possible? Dont worry, we have you covered! Make your loved one feel like a prince/princess on their special day. Is it that time of the year when your near and dear one is turning a year older, and you want to make them feel as special as possible? Dont worry, we have you covered! 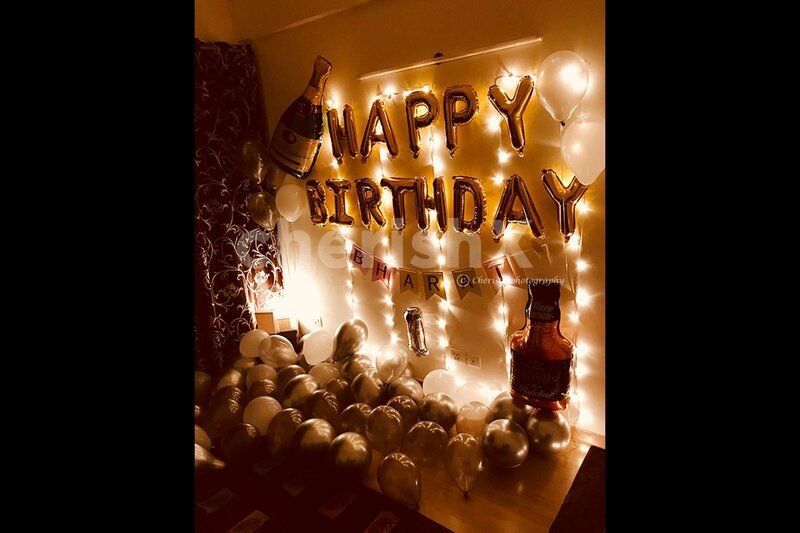 Make your loved one feel like a prince/princess on their special day by getting their room or your home decorated with premium quality chrome balloons, silver balloons, led lights, 'happy birthday' foil balloon, 2 number foil balloons depicting the age of the person, 1 whiskey bottle shaped foil balloon, along with the love and good vibes we put into crafting this decor for you! Birthdays bring with them positivity, joy, and celebration. Which is why we want to design the perfect setting for you. 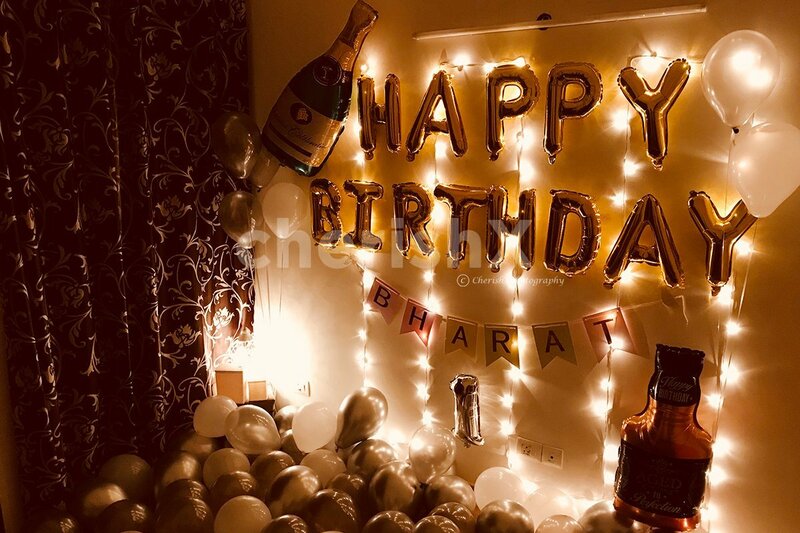 Celebrate the joyous occasion of a loved one's birthday with our epic and luxurious decor package which comprises of a variety of premium, good-looking and hard-to-find balloons. We guarantee you a big smile on the birthday boy/girl's face with this one! Whats more, you can customise this package further and make it bigger and all the more better. You can choose to have photo strings with 6 photos, a bucket of blooming roses, a goodie crate containing one nutulla jar, a packet of strawberries, an artificial bouquet, 2 aromatic candles, a bottle of fiesta and 2 serving glasses! Just check out our customisatons below! You can also choose to add a happy birthday bunting, message helium balloons, a personalised banner, a 4 feet tall teddy bear, a delicious half kg eggless cake, and much much more! 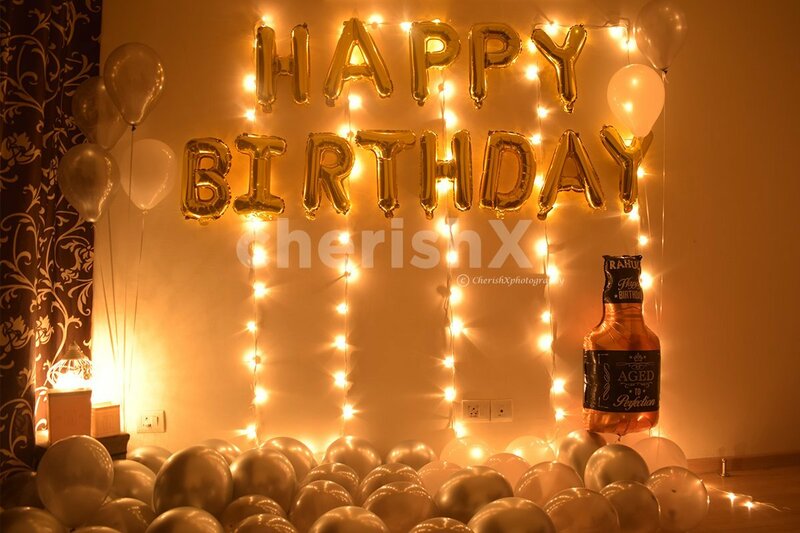 Add customisations for a more loaded birthday surprise! 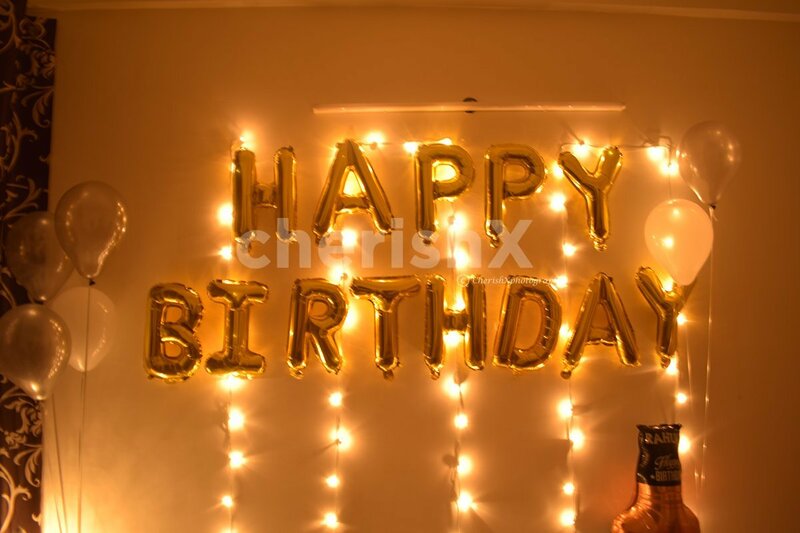 Add 5 Happy Birthday Printed Foil Balloons to enhance your decor! 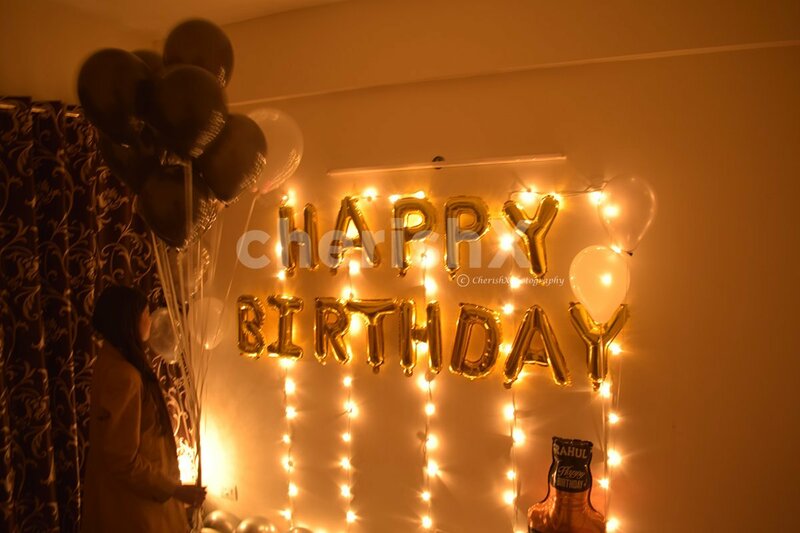 Add 50 more balloons to the ceiling to make your decoration flawless.